An Ohio family lost a third child to carbon monoxide poisoning on Sunday after four of the children were exposed to the gas, CBS News reports. Jakia Jones, 13, passed away on Sunday, two days after the initial incident. 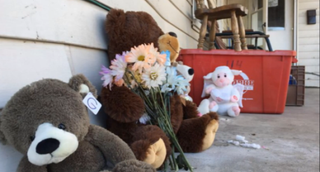 Her cousins, Dionanna Bishop, 14, and Dejah Bishop, 13, sisters, succumbed on Friday after a relative found the two girls unconscious in their grandmother’s home in Troy, where they lived. Jakia’s brother, 8-year-old Jahari Ward, is currently in critical condition. According to the news site, a preliminary autopsy indicates that the Bishop sisters died of carbon monoxide poisoning. The authorities have said that a furnace caused the leak of the odorless yet deadly gas. The relative who called 911 told the authorities that the four children had been sick for days. The children’s grandmother had been in the hospital on Friday getting treatment for pneumonia. The family rented the home from Joseph and Kathy Caldwell, who said they weren’t aware of any problems with the furnace and didn’t know that children lived in the house. Authorities are still trying to determine whether there is any criminal liability. Four firefighters had to be treated for exposure to the gas.